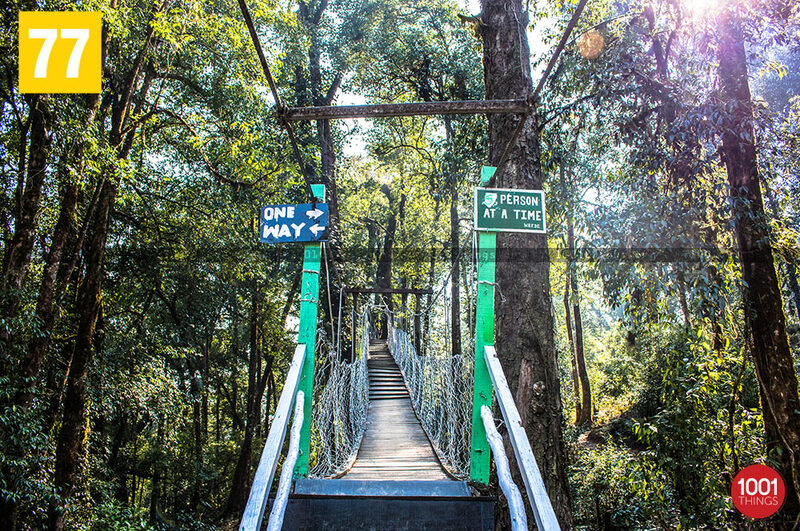 Hanging Bridge or canopy walkway is located in Lolegaon, a tiny hill side tourist destination near Kalimpong. 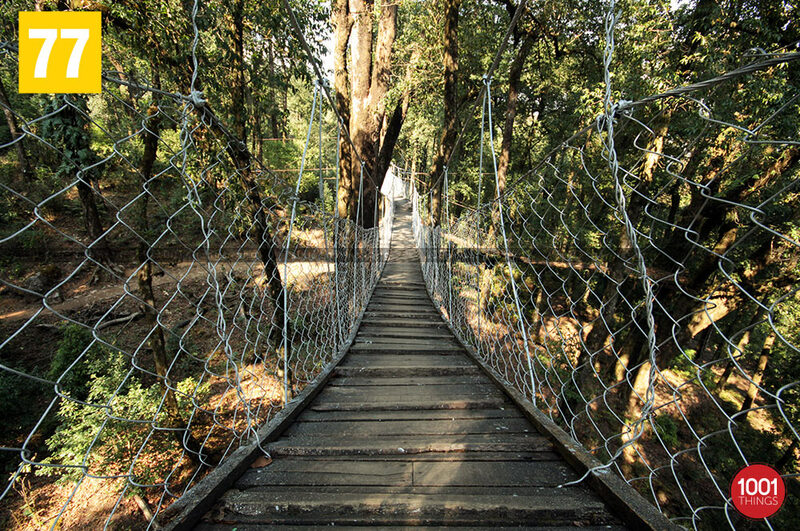 It is basically a foot over bridge over the vast canopy of trees on either sides. 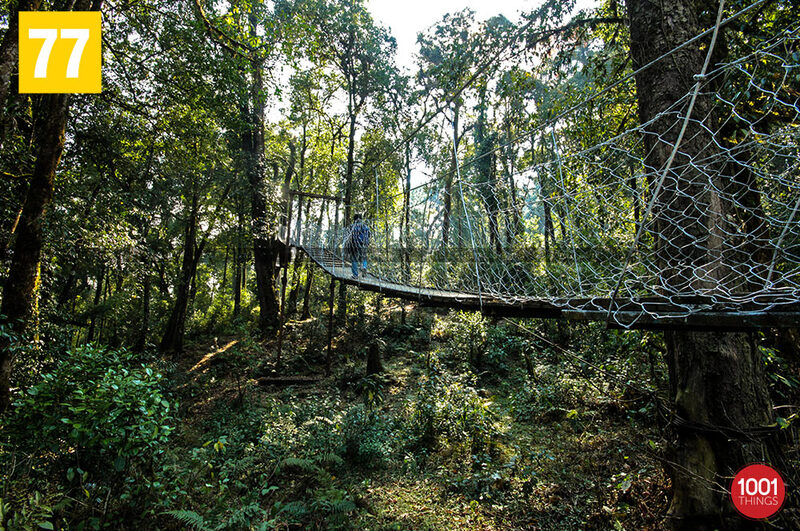 The bridge extends for over 180 metres, providing a glimpse of the forest from an elevation. 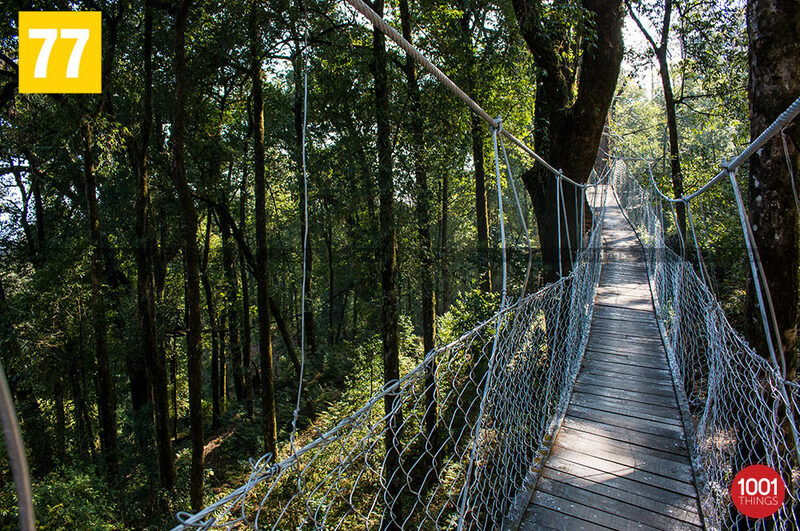 While taking a walk over the bridge, one can see the dense forest covered with soaring oak, fir and cypress trees. One needs to be careful as the walkway swings continuously with occasional planks that are broken and slippery. The place is to be avoided during monsoon season as the area is full of leeches. Rare Himalayan species like the red panda, bears and different varieties of butterflies, birds can be found in the forest of Lolegaon. Crossing the bridge leads to a small village called Kafer – a Lepcha village which provides a panoramic view of the majestic Kanchenjunga. 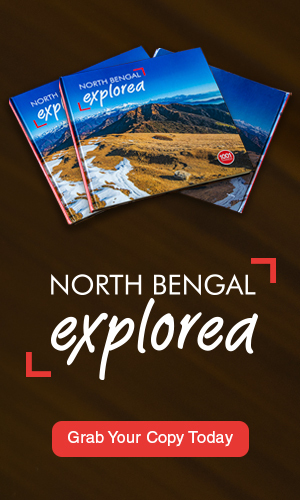 Nearby places includes Lava, Kalimpong which offers great attractions for tourists. Lolegaon is a perfect place for nature enthusiast who would be fascinated by the kind of aura this place holds. 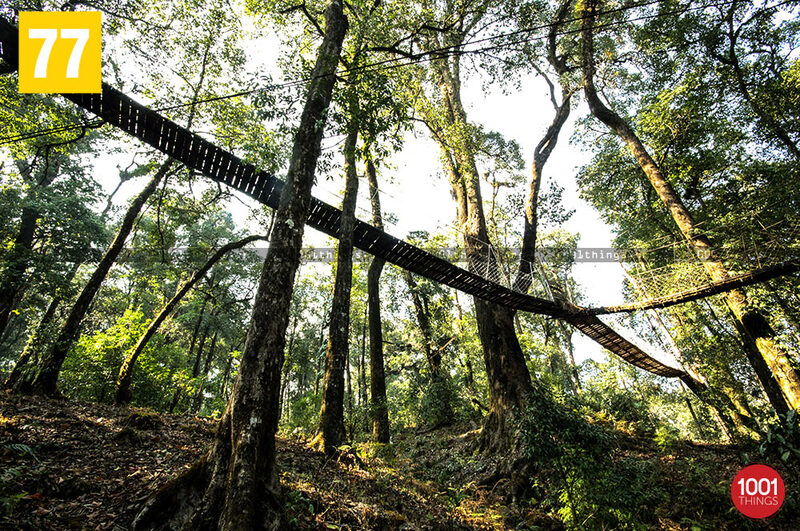 Even though the forest department have not maintained the bridge properly yet the feeling of being in midst of this mystical forest is simply thrilling. Lolegaon can be reached from Siliguri through rented cars which are available at NJP, the nearest railway station located at a distance of 92km.